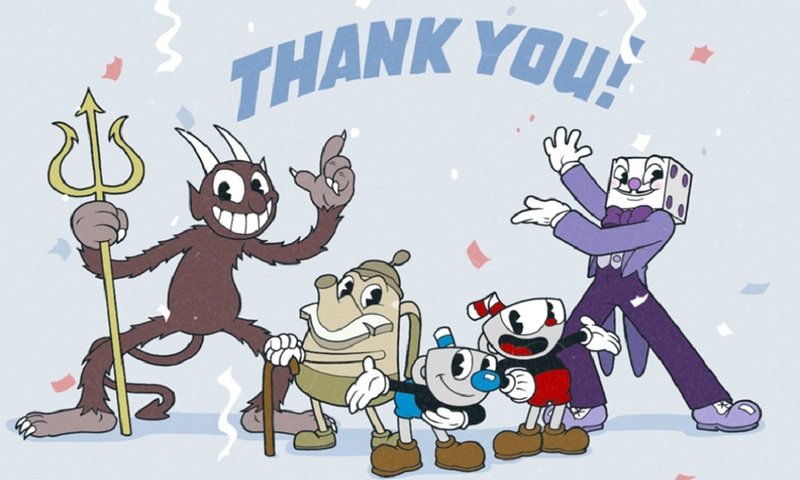 A good story deserves a happy ending: Chad and Jared Moldenhaer, founders of Studio MDHR, has announced that its debut title, the run-and-gun game Cuphead, has achieved one million in sales today. This combines sales from the PC and Xbox One versions of the game. The brotherly duo has expressed joy in the news, and recently released a new post on the studio’s blog. We had an initial “dream scope” planned for Cuphead. This original plan even included platforming levels. However, since we had humble beginnings as a 3-person team it was obvious that we had to shoot for something a little more realistic. Our intention was to release a very small game, with only bosses, in the hope that we could build a fan base and look at expanding the game down the road. To our surprise we received a ton of love from the gaming and art communities and decided it was time to up the ante. We quit our jobs, maxed out every loan possible, and partnered with Microsoft. This allowed us to expand the team and produce a larger game. As time passed, we decided to just GO FOR IT and bring back most of our original “dream scope”. Even with a larger team, the final scope of the game is a ton of work. The idea of rushing or cutting corners just to launch is not in our vocabulary – our goal is to release a game we are truly proud of. You can catch Mike’s review of Cuphead here, in which he awards the game a perfect score of 100 and a universal recommendation. Stay tuned for more news here on Gaming Trend.